Cost to you to purchase the part. (Many manufacturers will charge different prices for daily ordering or stock ordering. Manufacturers will typically provide these files via email, on physical CD, or via internet download. These files need to be imported into C9 for the prices to take effect. Firstly you need to save the price file onto the hard disk on the computer in the OPEA folder onto the main C:\ harddrive. 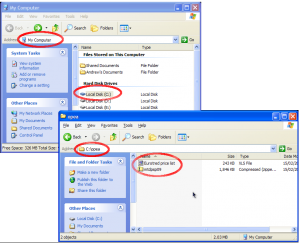 If no such folder exists then in windows explorer first create a folder under (My) Computer, Local Disks, C Drive. Price file importing can be performed from any terminal which has C9 installed. There is a slight performance gain associated with performing the import on the server computer; but it is not essential to do this. TIP: There is no need to unzip the file as C9, unlike c8, can directly handle zipped or unzipped files. TIP: It is some times a good idea to delete all the old, previously imported, files in the OPEA folder to avoid confusion, before you save the new file. The file will be one of the following types:- an excel file, a CSV, an OPEA format file, a MCS .rpt file with barcodes or a Harley Davidson file (exported from your Harley Davidson software). TIP: Special formats such as Monza and Yamaha, are no longer needed). If it is in OPEA format you will also need a list of discount codes printed out for reference when importing the file. 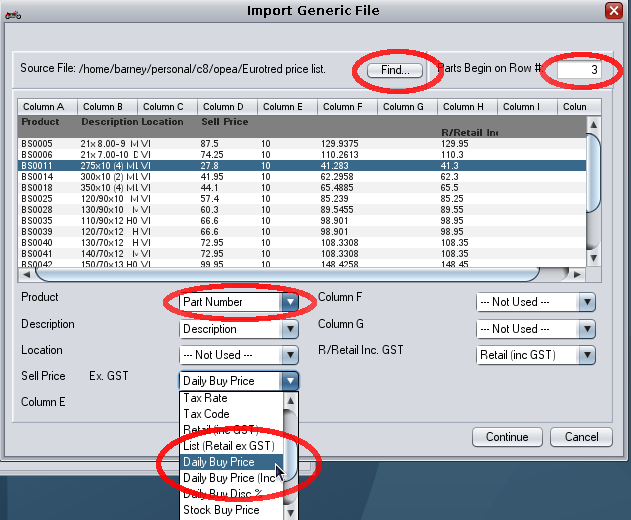 When installing an OPEA format file, if the distributor doesnt have en extra discount for stock orders then the discount amount will be the same for both daily & stock orders. Select the franchise you want to import into. Select carefully!!! For OPEA files, select OPEA. 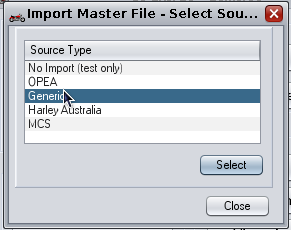 Select MCS or Harley if you are importing non standard files specific to either of these franchises. 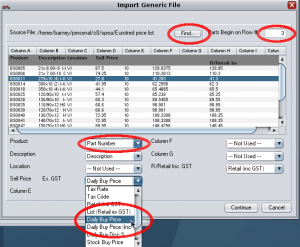 When selecting Generic, it is necessary to map correct fields in the file. C9 will make a guess as to what correct fields should be, but you need to manually check these. C9 remembers settings for a given franchise so that on second and later attempts, assuming the format of the price files do not change, you need not reconfigure them. When window is first displayed, click on "Find..." button and select the file in C:\opea directory that is the price file you want to import. The system will guess what different fields mean but it might not get it right so you need to specify manually. For example below, c9 does not recognise Product or Sell Price. So you need to manually set this to "Part number" and "Daily Buy Price" respectively. You may also need to adjust the setting "Parts begin at Row #". When choosing the columns to import, and if only one price exists, then an extra option will be displayed to add a percentage for the missing price. If you have a retail price only, and know that your discount is 30% across the board, then the percentage entered to calculate your cost price will be 30. Conversley if you have a cost price only, then you need to add a percentage to markup cost to retail. The system calculates in the following way, cost(ex GST) + the markup percentage + GST, to give you a retail price. We have set the “default” markup to 50% as this is the most common MINIMUM markup used, where no retail price is specified. You can, of course, make this percentage what ever you like. If you are not satisfied with the results for calculating the retail, simply re-import the file, using a different markup. 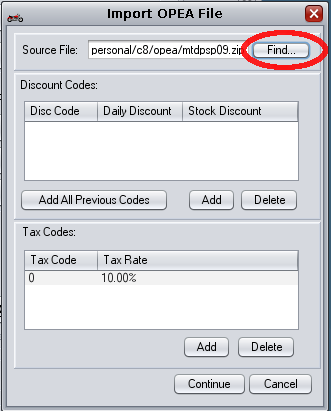 OPEA configuration involves selecting an OPEA file by clicking on "Find..." and entering in discount/tax codes. 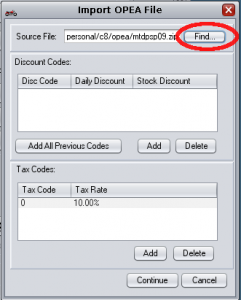 You can type in discount/tax codes during initial configuration or you can type in tax/discount codes while import is running. When importer encounters a discount/tax code it does not recognise it will popup a screen asking you to keyin stock/discount pricing information. 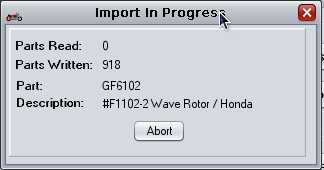 After clicking continue and initiating import c9 will check first few records and make a guess to exact encoding of information in the file. Although OPEA is a standard file format, a few manufacturers have not implemented the format exactly as specified. C9 will analyze the file and determine if the implementation is standard or not. It is recommended that you just press OK and accept the recommendation made by C9. After accepting configuration you will be presented with a confirmation screen. Check details and click OK to continue. After import a message will pop up: "Is there another file in the set?". This allows you to import multiple files into a single franchise in a single step. This option comes from days when files where typically distributed on floppy disks, and space limitation in a floppy disk meant that a full price list occupied multiple files. This option nowdays in era of memory sticks,CD's and internet downloading is now redundant, but the feature remains in c9 due to some rare cases of files still being distributed across multiple files. Normally you would click no here, unless you indeed have multiple files. The system will continue to process, performing data post processing and stocking adjustments. At the end of the process a report is generated indicating parts that were superceeded etc.